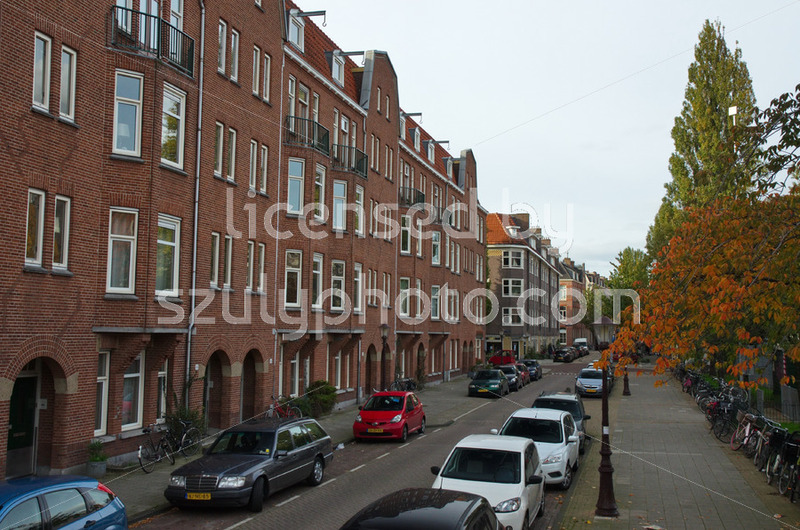 Amsterdam, Netherlands: Yellow brick residential building on the corner of Willem Pastoorsstraat and Burgermeester Tellegenstraat. 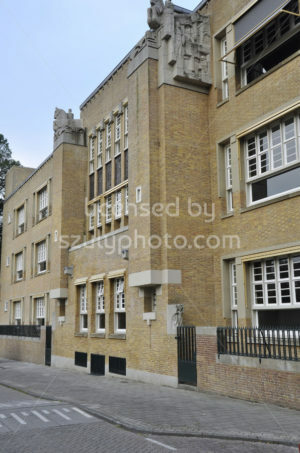 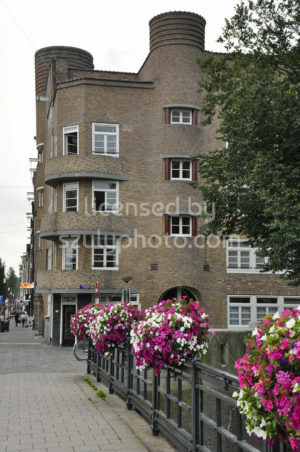 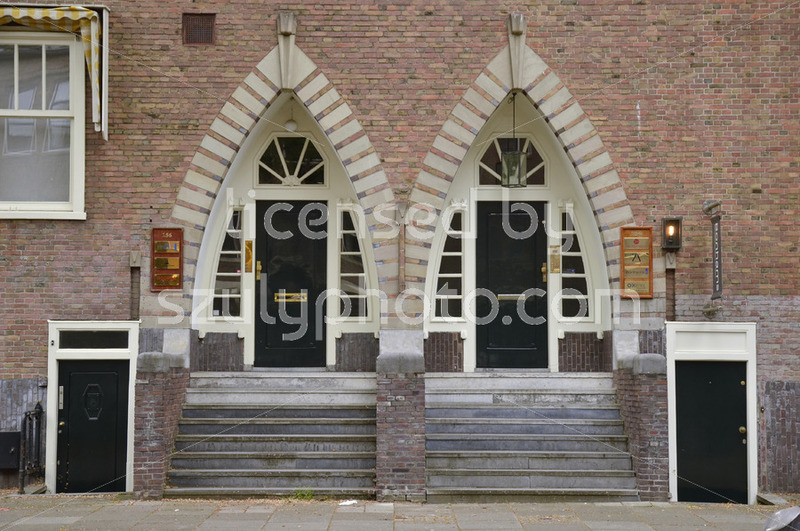 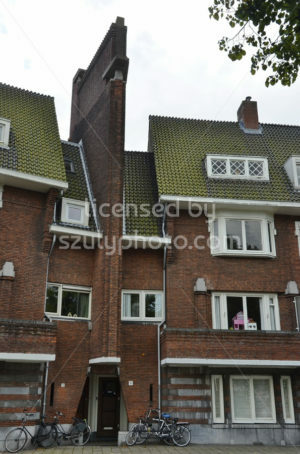 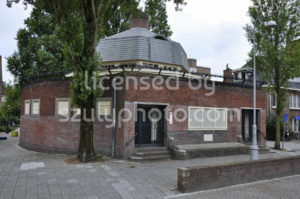 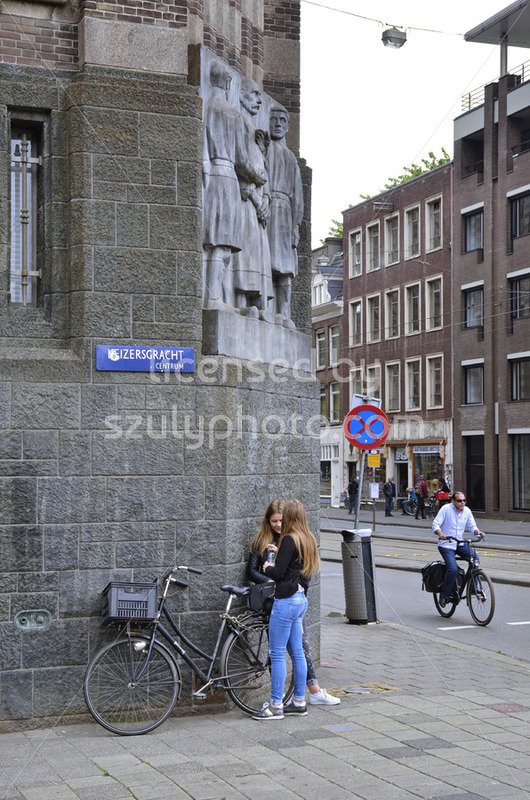 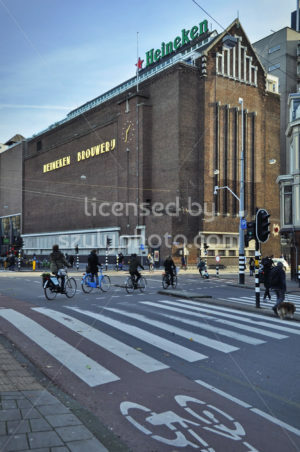 It is part of the De Dageraad complex, finished in 1923, designed by Michel de Klerk and Piet Kramer. 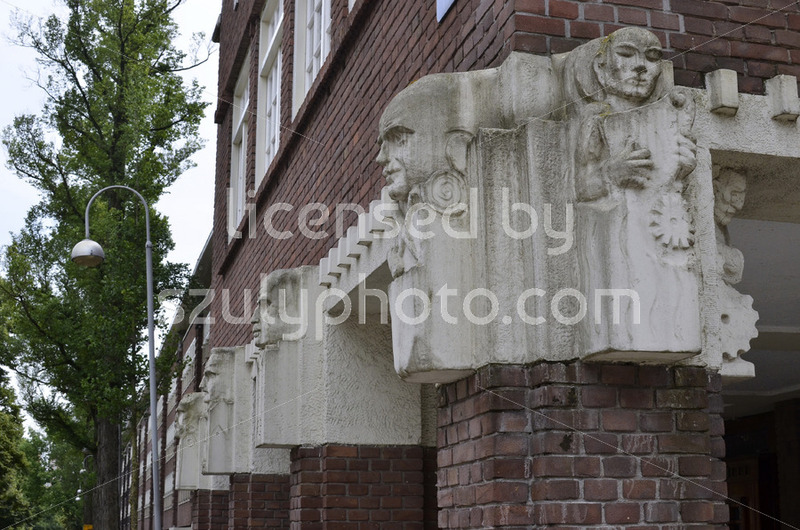 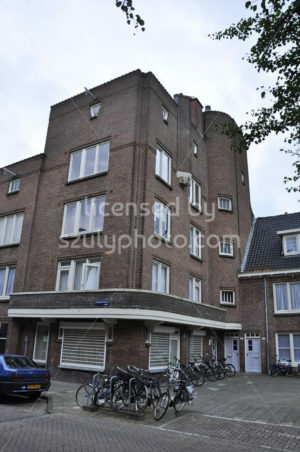 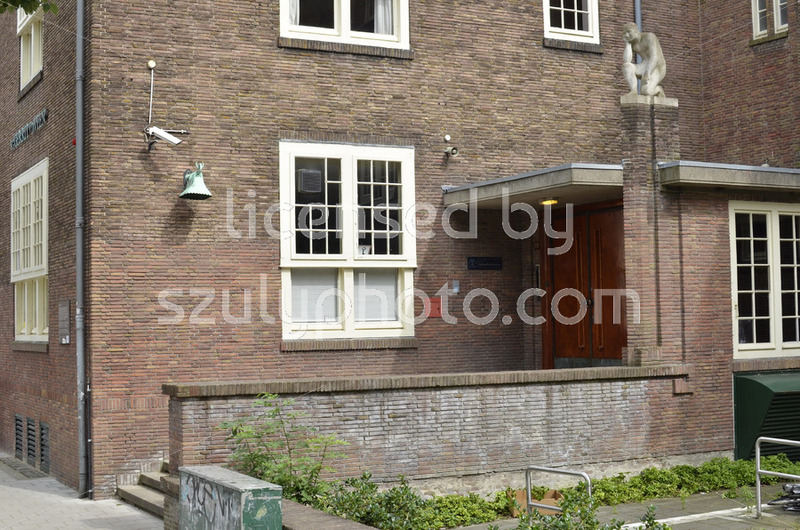 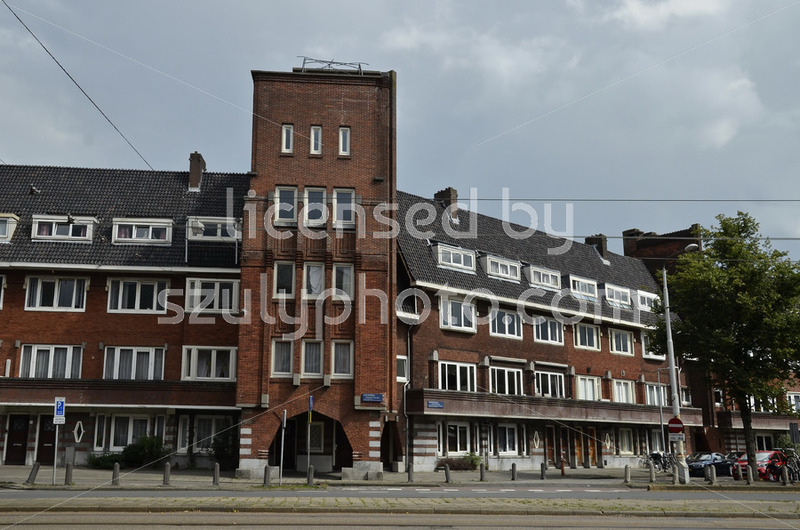 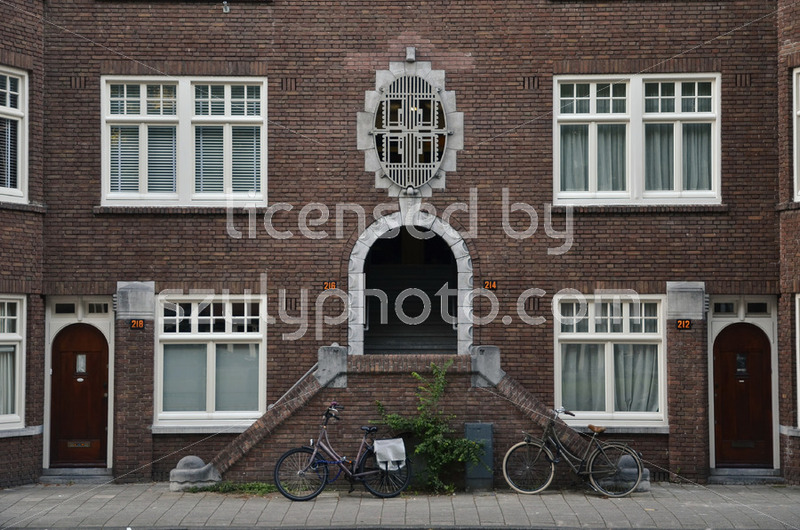 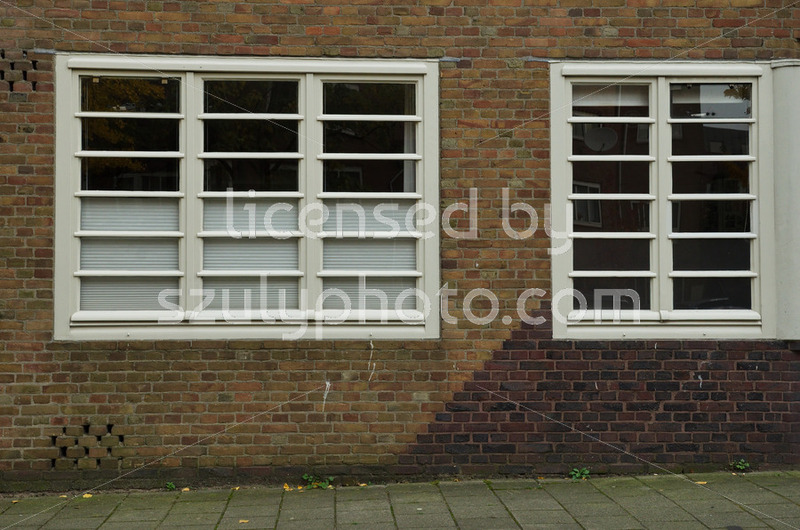 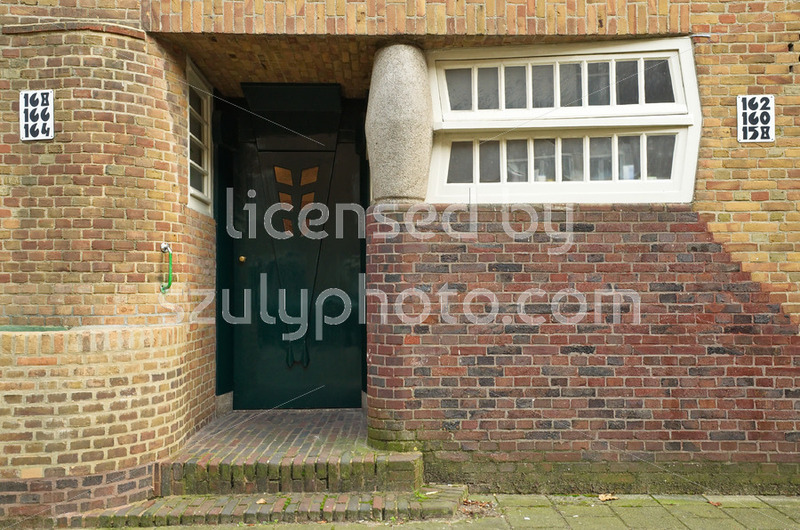 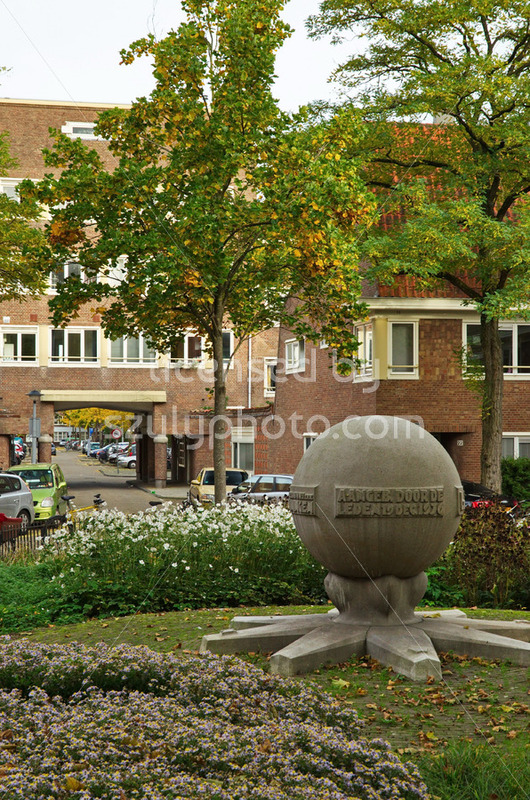 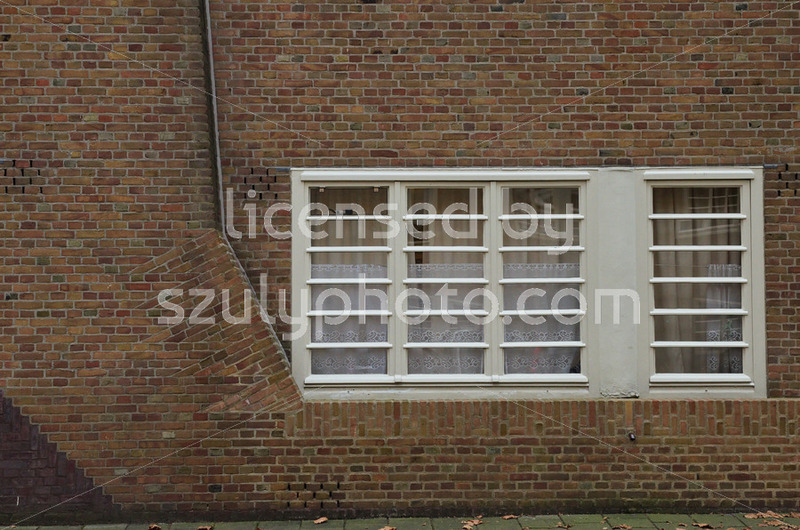 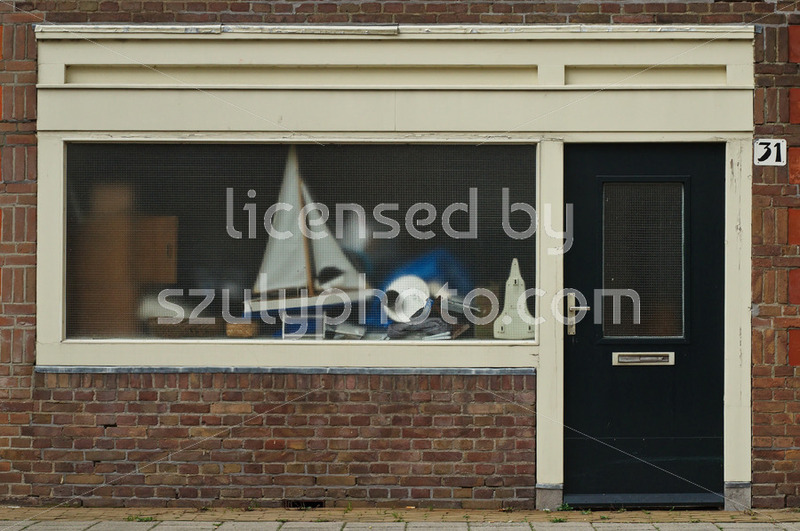 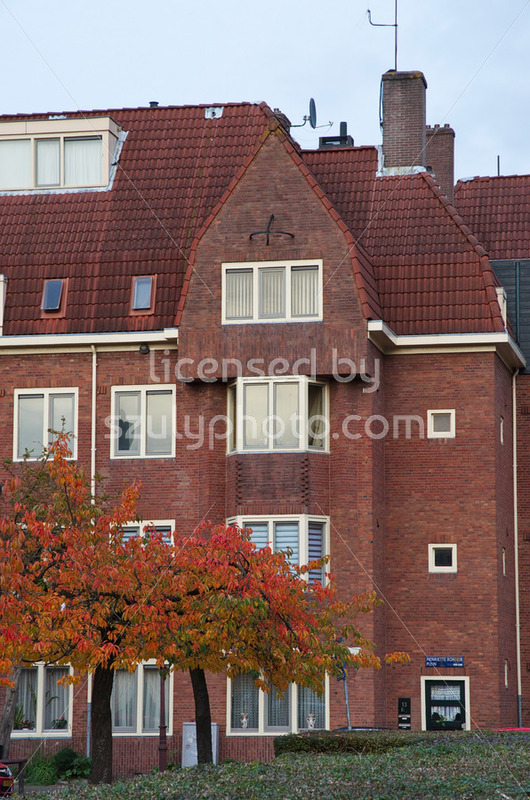 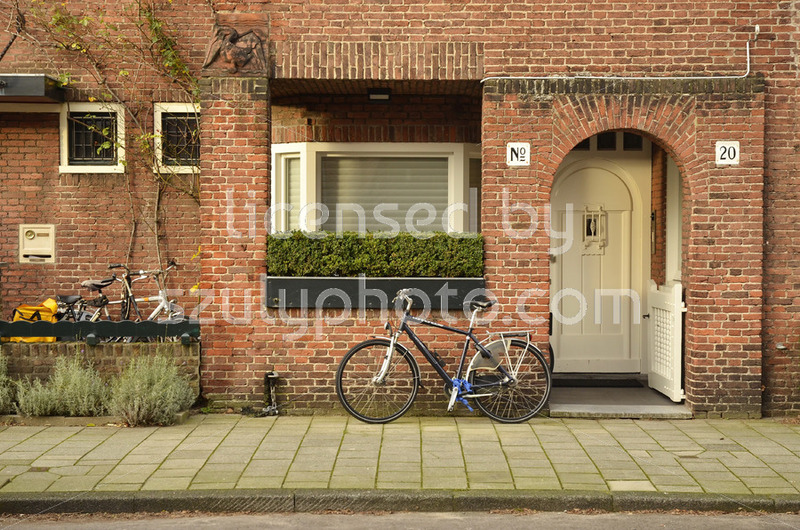 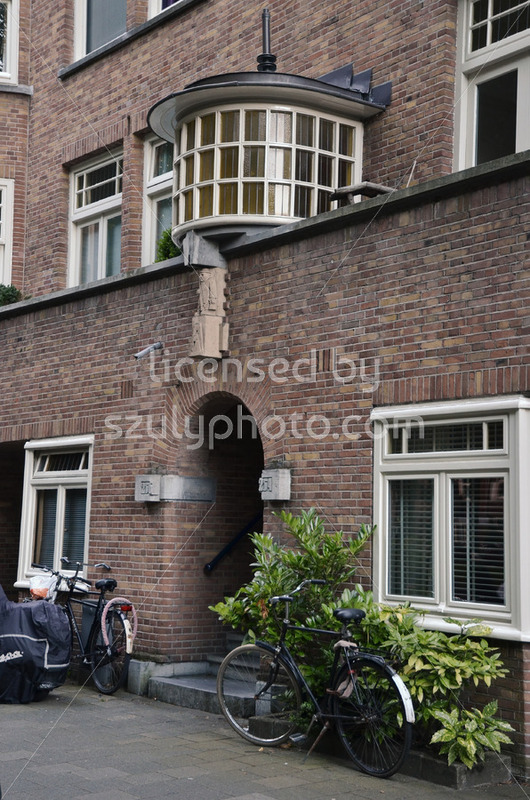 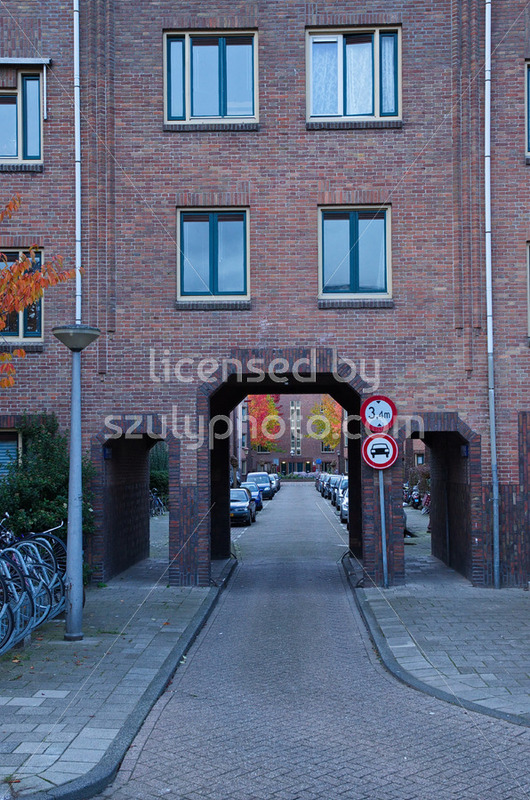 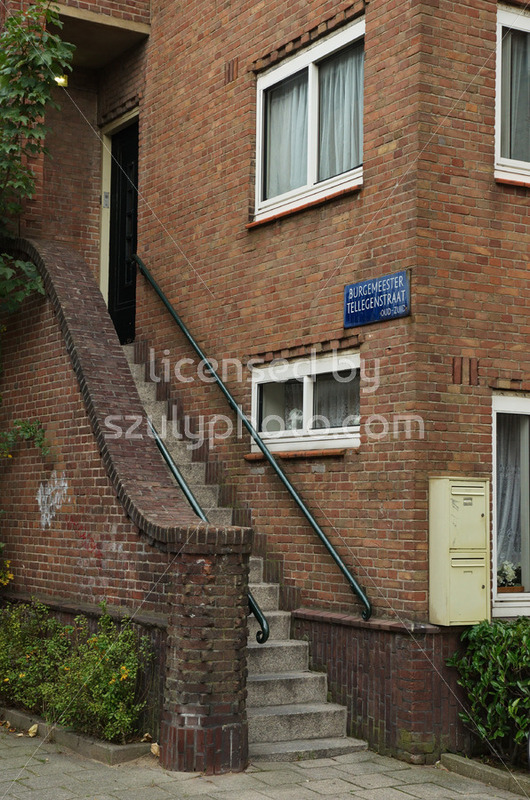 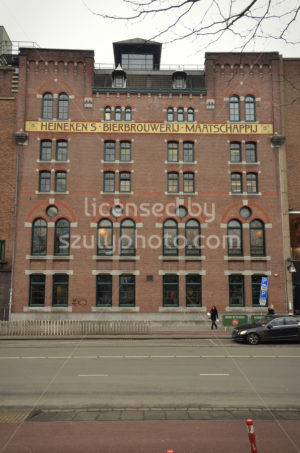 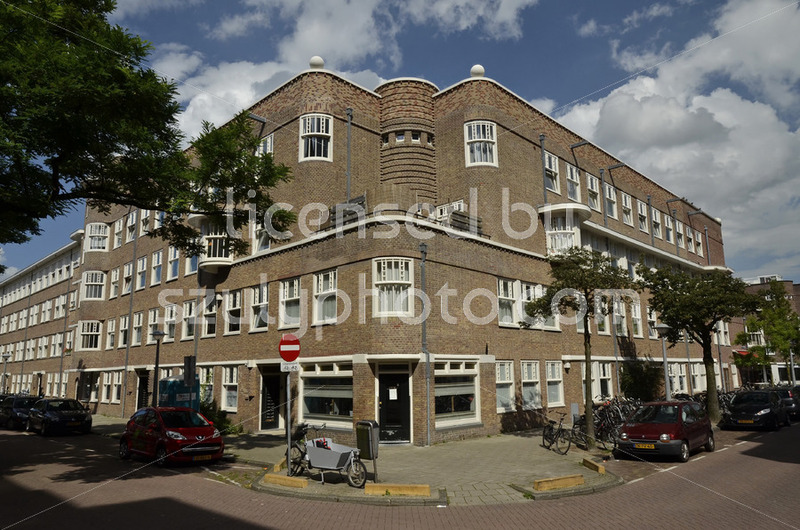 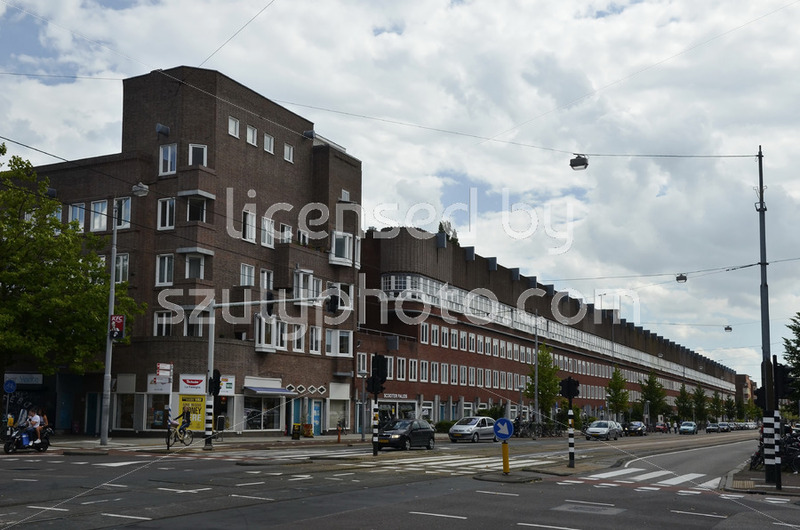 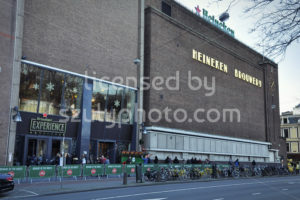 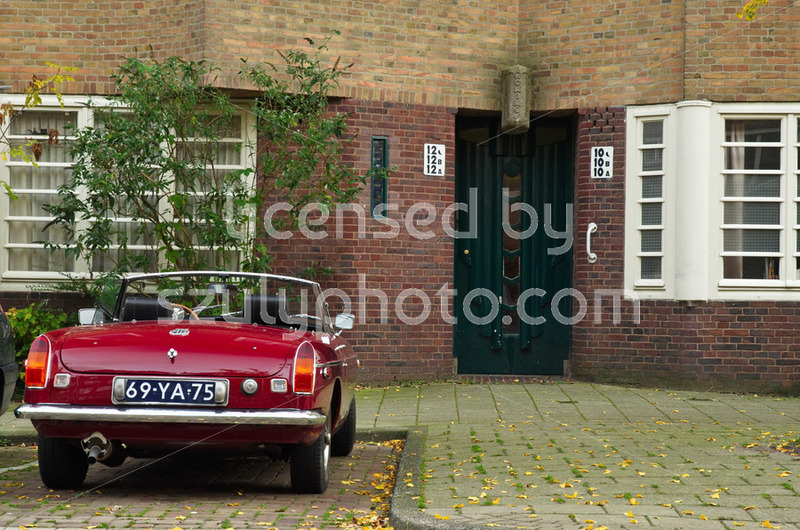 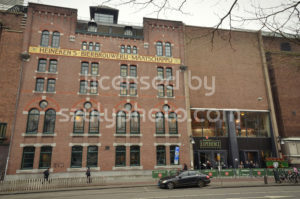 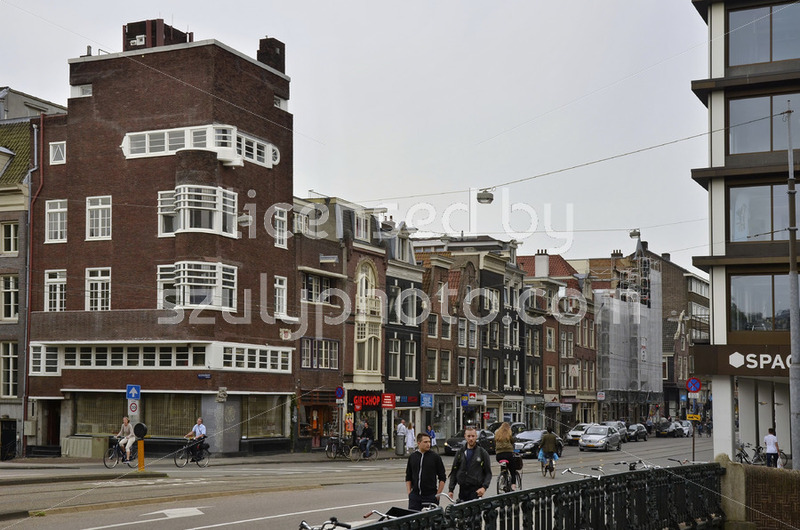 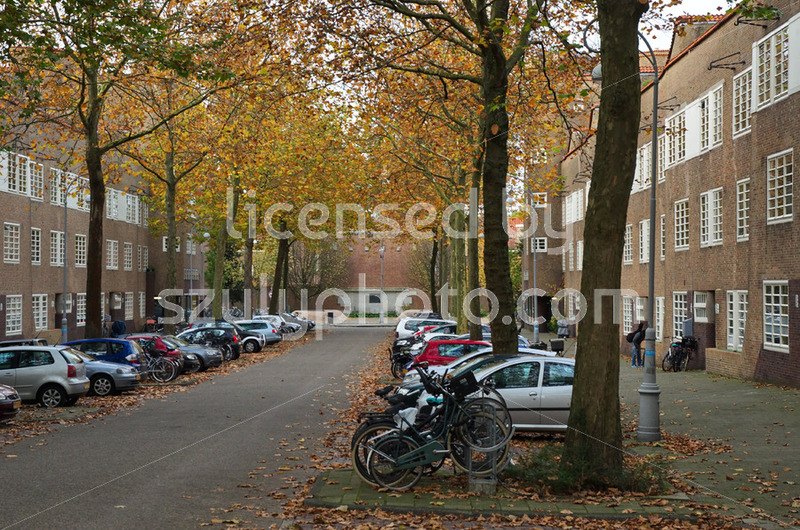 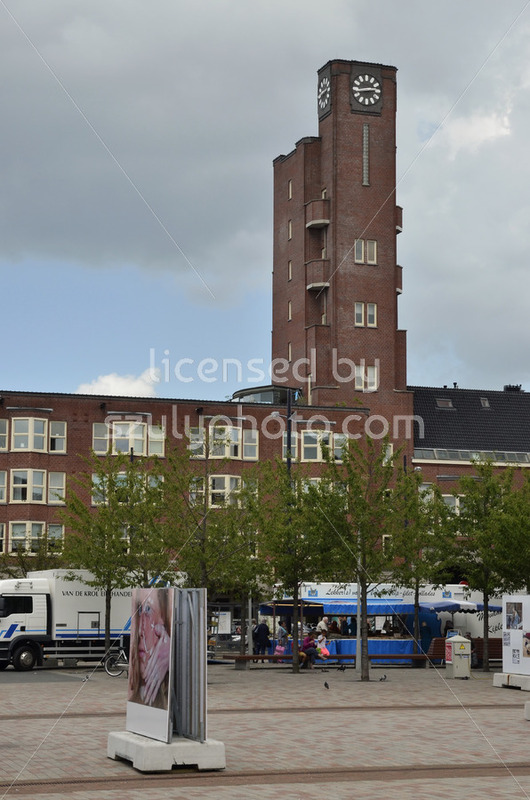 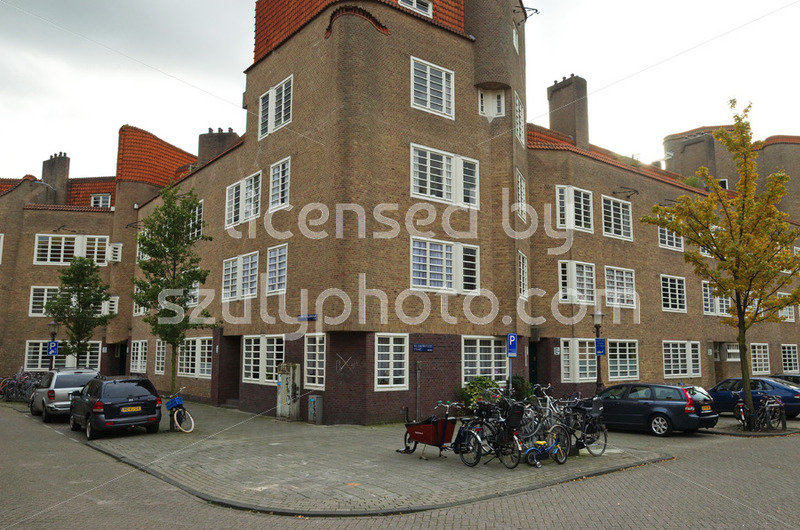 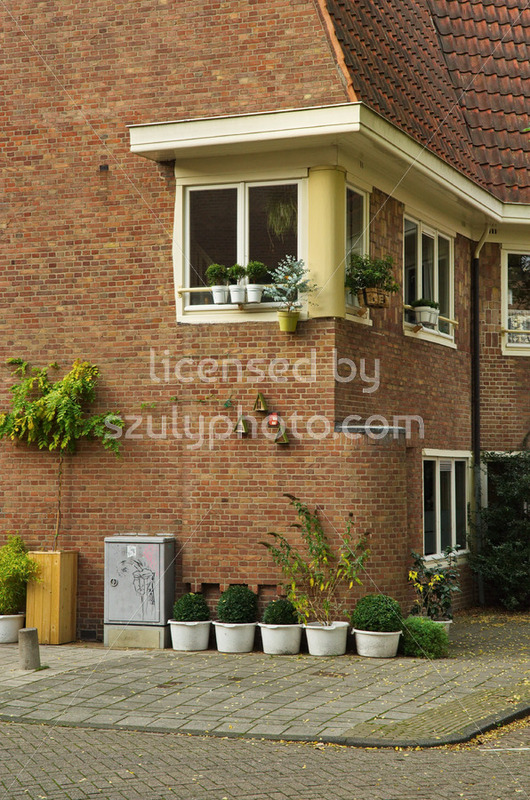 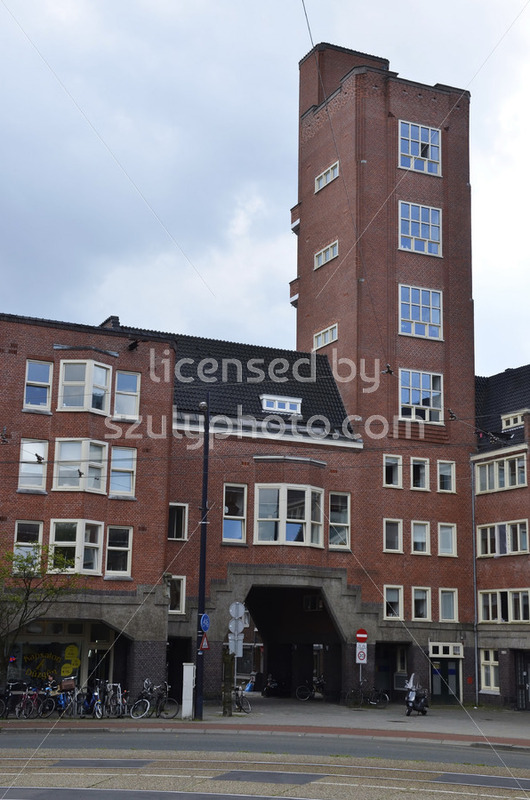 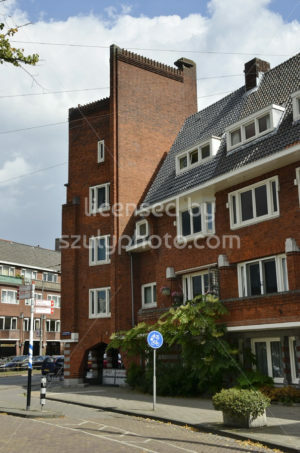 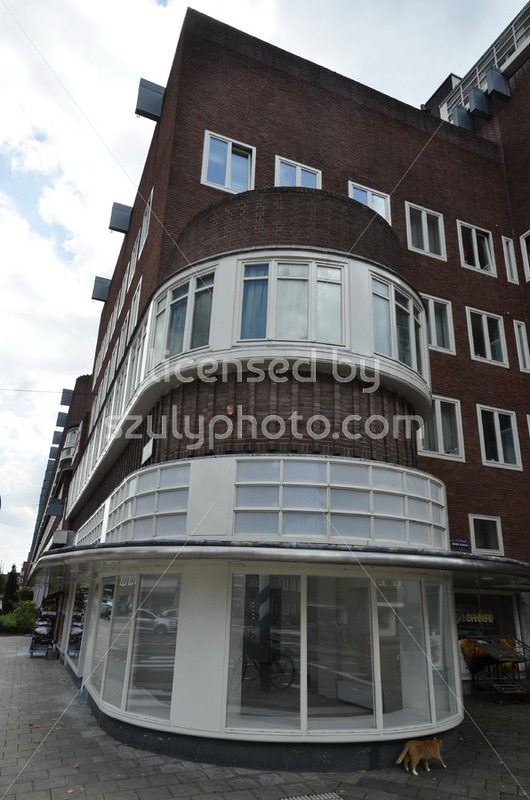 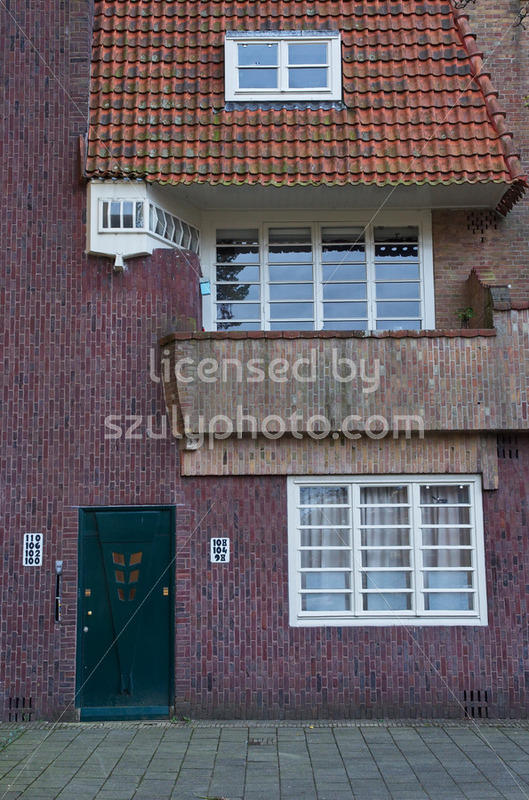 Amsterdam, Netherlands: Side view of an Amsterdam School style residential building on the west side of the Henrick de Keijserplein.